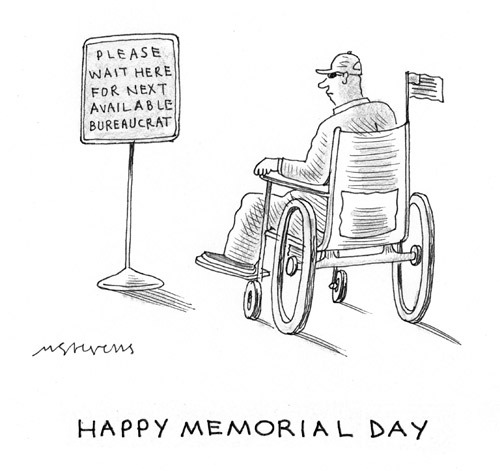 This New Yorker “daily cartoon” by Mick Stevens was sparked by the Veterans Administration scandal. But this is the future of our entire health care system thanks to ObamaCare and an avalanche of federal subsidies and mandates starting half a century ago. Here’s a link to a great NPR interview with two of my favorite “medical freedom fighters” – Dr. Jerry Arnett & Dr. Brenda Arnett. 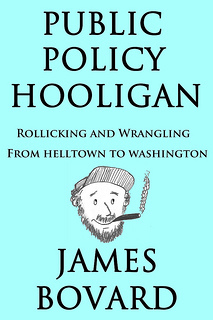 http://jimbovard.com/blog/2010/06/18/medical-freedom-fighters-the-arnetts-of-west-virginia/ Jerry has been fighting the government takeover of health care for more than 30 years, and Brenda has been doing her part since becoming a doctor not nearly that long ago. I’ve noted a few lefty articles in the past discussing how the VA is an excellent demonstration of just how public health care would work.